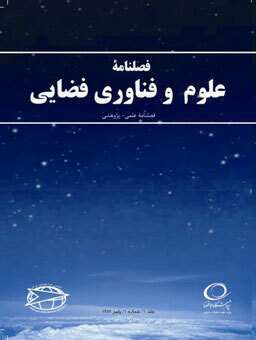 Farsi, M. A., Eslami, A. A., Gorgin, R.. (1393). Reliability Determination of a Sounding Rocket Separation System Using its Reliability Block Diagram and FMEA. علوم و فناوری فضایی, 7(1), -. M. A. Farsi; A. A. Eslami; R. Gorgin. "Reliability Determination of a Sounding Rocket Separation System Using its Reliability Block Diagram and FMEA". علوم و فناوری فضایی, 7, 1, 1393, -. Farsi, M. A., Eslami, A. A., Gorgin, R.. (1393). 'Reliability Determination of a Sounding Rocket Separation System Using its Reliability Block Diagram and FMEA', علوم و فناوری فضایی, 7(1), pp. -. Farsi, M. A., Eslami, A. A., Gorgin, R.. Reliability Determination of a Sounding Rocket Separation System Using its Reliability Block Diagram and FMEA. علوم و فناوری فضایی, 1393; 7(1): -. Separation system is one of the most important systems in rockets. The influence of this system on mission success cannot be ignored. In this paper, reliability of a sounding rocket separation system is determined using block diagram and FMEA . This system is based on the flexible linear shape charge cross-section and a spring mechanism to accelerate separation. In this investigation, the reliability block diagram of the separation system including mechanical and electrical mechanisms is determined. By considering reliability of each component based on expert opinion and using separation system reliability block diagram, reliability of separation system is determined. Moreover, since spring mechanism is one of the most important parts of separation system, a complete FMEA analysis is conducted for this mechanism. According to this analysis, piston, cylinder, pin, and springs have the highest RPN number. Hence, these parts must have a high reliability. On the other hand, results are shown that bracket and bush have the lowest RPN number; therefore, it is not important for these parts to have a high reliability.